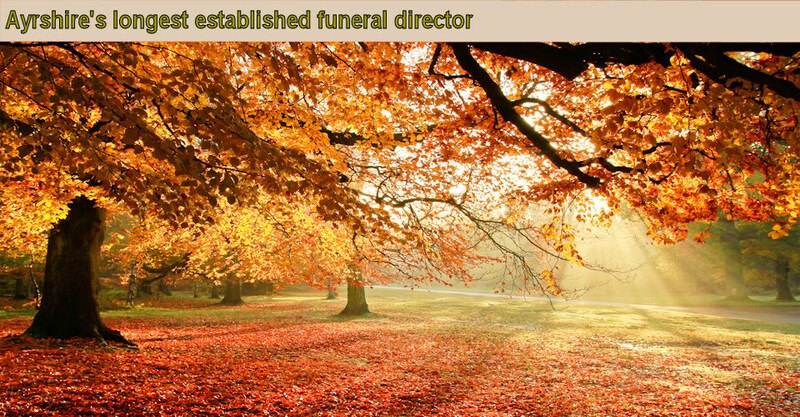 We are one of the longest established family-run funeral director businesses in Ayrshire, with branches located in Kilmarnock, Stewarton, Galston and Darvel. We are proud to have a trusted reputation in the local community of East Ayrshire and endeavour to provide a personal and caring service to help our families through the most challenging of times. Losing a loved one is a very difficult time for bereaved family and friends, even if the death has been expected. Our services begin the moment you contact us and we will start to make all of the necessary arrangements on your behalf, whether the death has occurred at home, in hospital or at a nursing home. Our ‘Arranging a Funeral’ section will guide you through the process of coping with a bereavement and our experienced staff are on call 24-hours a day to provide advice and assistance.